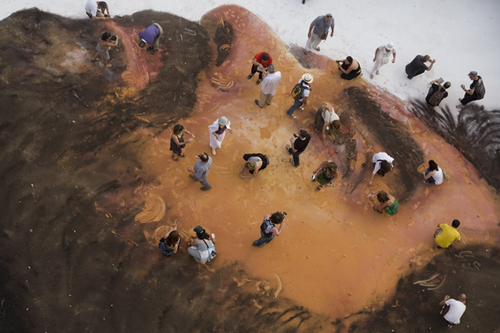 Jorge Rodriguez-Gerada’s latest sand painting was created (transformed and undone) on July 3rd, 2010. The portrait is of Enric Miralles, a Spanish architect who died at the early age 44 leaving an amazing legacy. 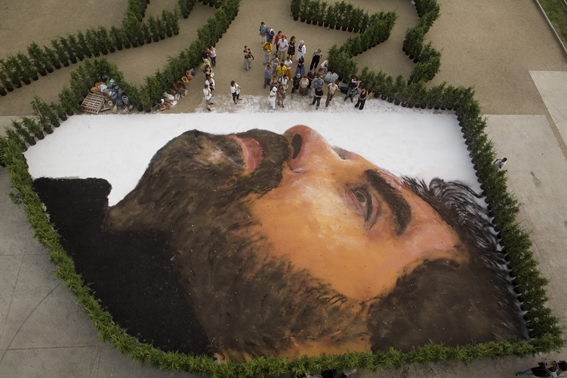 His wife, architect Benedetta Tagliabue and their studio EMBT, organized the work and a picnic for family and friends to commemorate the 10th anniversary of Enric´s death.